Nautical decor is not just for the beach and can bring a little sunshine to any season. Even if it's 40 degrees outside your door, nautical details are always welcome. This year, I've been trying to wait to think about Christmas until a little bit before Thanksgiving, but the second I hear Christmas music in a store, I'm drawn into the holiday spirit. Here's a little nautical inspiration for your holiday decorating scheme. I love these pink polka dotted pelicans! 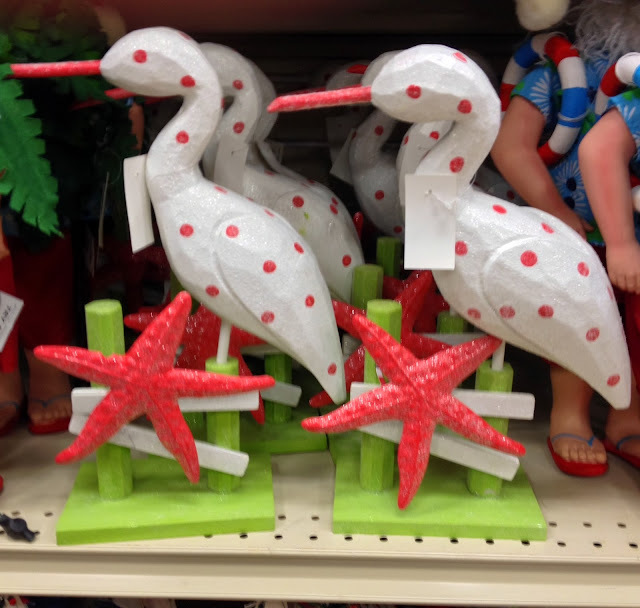 Perched on green posts with a pink starfish accent, I'm half tempted to use this year round on a shelf! 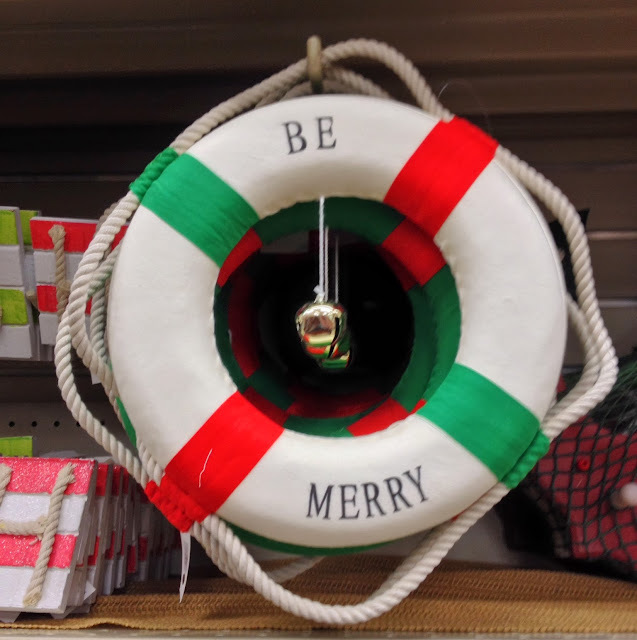 Swap out wall hangings in a bar or kitchen with this red and green nautical touch that invites you to "Be Merry." It makes a fabulous statement piece for a holiday party. 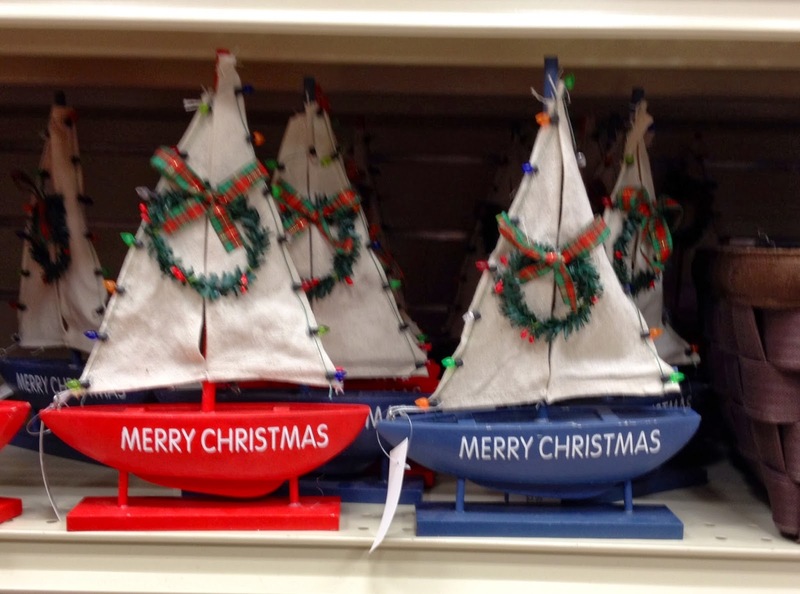 Festooned with holiday lights and wreaths, little sailboats offer Christmas greetings. In Baltimore, I love to watch the Lighted Boat Parade in the Inner Harbor. You can see the boat parade this year on December 7! An anchor is always a fun nautical choice. 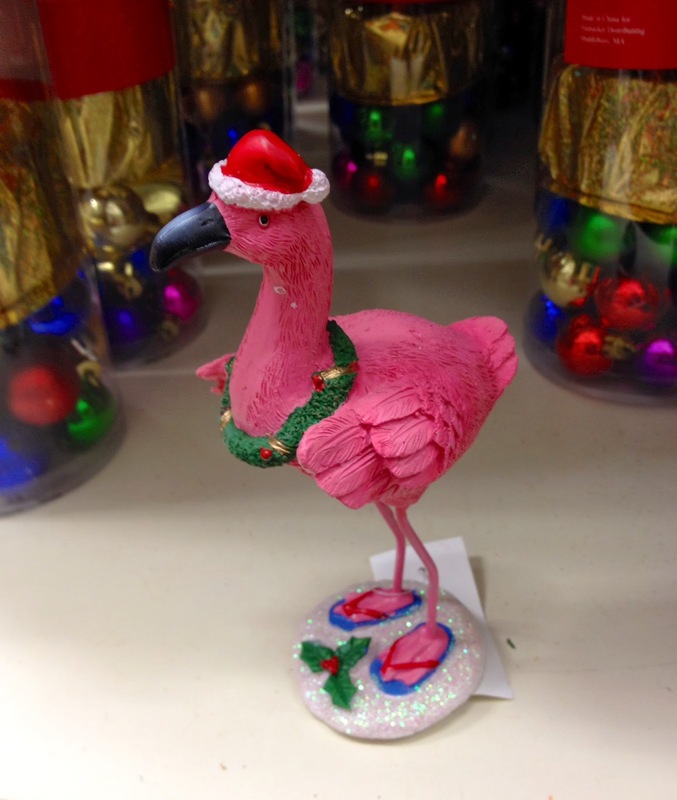 Isn't the pink flamingo precious? 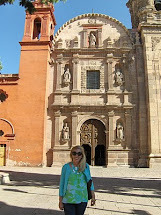 I love it that she's wearing flip flops in the winter, just like me! 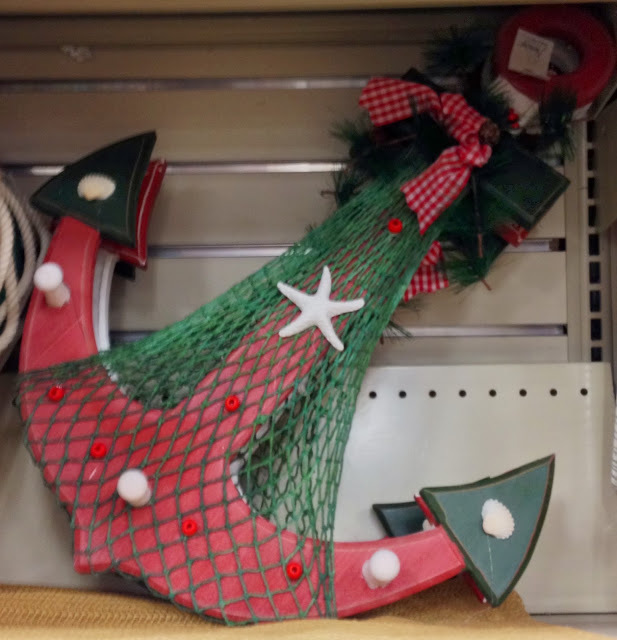 Do you like nautical decorations for Christmas or do you tend to incorporate a more traditional theme? Fun finds! I dream of having a beach house that I could decorate with nautical Christmas lovelies, but until then my house leans more traditional, though I use gold and burgundy over red and green. This is all so cute! We stick to pretty traditional themes, but sometimes we spruce things up a bit with nautical touches. Two years ago, we got the cat nautical christmas toys for instance.